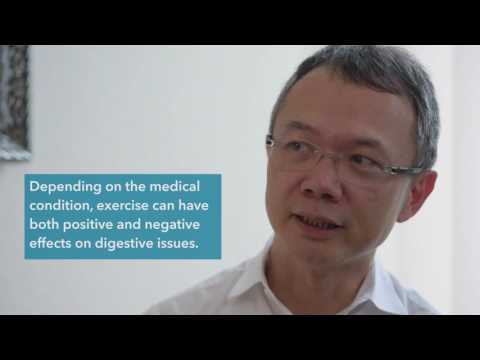 Dr Lui Hock Foong is a gastroenterologist practising at Gleneagles Hospital, Singapore. He specialises in digestive disorders and liver transplant for liver diseases such as liver cancer and liver failure. After he graduated from NUS in 1990, Dr Lui went on to complete his postgraduate training in Internal Medicine with the Ministry of Health in Singapore, before leaving for the United Kingdom for his advanced specialty training. Dr Lui trained in gastroenterology and hepatology at the Lister Postgraduate Institute, the Royal Infirmary of Edinburgh, the Scottish Liver Transplant Unit and the Chelsea and Westminster Hospital (London). His present practice deals with treating common and complex disorders of the digestive tract and liver, undertaking diagnostic and therapeutic endoscopy and his special areas are treatment of advanced liver cirrhosis and liver transplantation. He is also the Medical Director of the Mount Elizabeth Liver Transplant Programme, a member of the Sing-Kobe Transplant Centre, a visiting consultant with Singapore General Hospital (Liver Transplantation and Department of Gastroenterology and Hepatology) and a visiting consultant with the Kobe International Foundation Medical Centre in Kobe, Japan. Dr Lui is active in various local and international forums of gastroenterology. He is the chairman of the National Foundation of Digestive Disease, the secretary of the Chapter of Gastroenterology of the Academy of Medicine of Singapore, a member of the Asia Pacific Association for the Study of the Liver Working Party on Portal Hypertension, a member of the Ministry of Health (Singapore) Working Party on Hepatitis B and Hepatocellular Carcinoma and is a past editor of GutViews, the publication arm of the Gastroenterological Society of Singapore. He held two terms as scientific chairman of the Gastroenterological Society of Singapore. What happens when the liver stops functioning correctly? What is fatty liver, and how does it affect your overall health? Dr Lui Hock Foong, gastroenterologist at Gleneagles Hospital, shares tips for dealing with indigestion.